In 2015, the European Union established an official energy policy for all of its member countries, since over half of the energy used within the EU that year was imported from other countries. The goals of the policy are to reduce dependence on foreign energy sources and reduce carbon emissions and pollution, as well as provide secure, affordable energy to European residents. The difficulty with the European Energy Union is that the individual member states that make up the EU have different ideas about which forms of energy to pursue and different energy needs. The United Kingdom, for instance, advocates the use of nuclear power, while other countries shun the idea. However, being a part of the Energy Union gives countries access to the resources necessary to adopt positive energy policies. After deciding to leave the European Union, Britain has a lot of work ahead when it comes to figuring out its energy goals. It may still be allowed to participate in the Energy Union, but it will no longer have a strong voice or role in policy creation. And it will have to find a way to meet national energy goals on its own while maintaining a balanced economy. Importing biomass fuel can go a long way toward helping Britain solve these problems. In accordance with European Union energy policies, the UK pledged to make renewable energy 15% of its total energy use by 2020. As of 2013 the UK hit that goal, meaning that they are already well on their way to increasing reliance on efficient and eco-friendly energy. However, gas and coal still dominate the market, though not to the extent that they did in the previous century. Gas accounts for 30.2% of all energy usage and is used mostly for heating and transportation, while coal accounts for 29.1% and is mainly used for electricity. For several years, the United Kingdom has been experiencing an “energy gap.” The country’s energy production is not meeting the needs of its citizens, and the quickest and easiest solutions conflict with the renewable energy goals. A report from the Institution of Mechanical Engineers states that perhaps dozens of gas-power stations need to be built, or the country will fail to meet its electricity demand within a decade. The UK has called for a complete shutdown of all coal plants by 2025, with gas taking up the slack, but that would require a significant investment in new gas power plants. Furthermore, because of Brexit, the UK will have less security when it comes to traditional fuel sources. Due to an uncertain economic futures, investors may be unwilling to contribute to gas power plant plans. If the government can’t get the necessary funds, they won’t be able to make the switch, pushing back their plans for cleaner energy. Their largest energy partner will likely remain the EU, which could be harmful since Britain no longer has a voice in EU energy policies. Britain may face strict trade conditions and increased energy prices. They may need to negotiate with Russia for much-needed resources, which again limits Britain’s independence. The United Kingdom already relies on bio-energy for nearly 7% of its energy output. And one of the largest power companies in Western Europe, which is located in the UK, recently outfitted three of its six units to be able to burn biomass for energy. 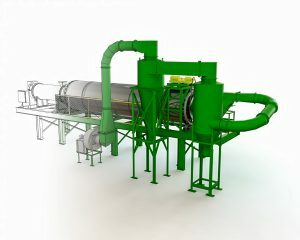 Biomass energy involves burning organic matter, such as wood pellets and inedible plants fibers, to produce electricity. One of the main selling points of biomass is that the system is carbon neutral, as the plants needed to run the generators feed on the carbon dioxide produced when the biomass is burned. The cycle greatly reduces carbon emissions and makes biomass a sustainable resource. Another benefit of biomass reliance is that the UK wouldn’t need to build any new power plants to keep up with the energy supply. Instead, coal plants can be retrofitted to burn biomass as well as coal, keeping with the government’s plans to limit coal reliance without needing to find the resources for new plant construction. Co-burning also reduces carbon emissions by up to 80%. If the United Kingdom were to substantially increase biomass energy, they would likely look into trading with American biomass suppliers. The southeastern United States produces a large amount of agricultural residue, which would typically be disposed of as waste matter. Repurposing it into biofuel makes the entire agricultural system more efficient and prevents excessive waste buildup. As a whole, an increase in biomass energy would be a great way for the United Kingdom to increase its energy output while reducing its carbon emissions, especially in light of the country’s departure from the EU. Forgoing fossil fuels and difficult trade policies for affordable, environmentally-friendly energy with an already-established will boost the economy and align with the UK’s energy goals. British companies interested in biomass should contact a supplier, or contact Uzelac Industries for advice setting up their own biomass processing equipment. In a previous blog post, we discussed how agricultural engineers can use biomass technology to benefit the farming industry. We also mentioned how biomass energy and fuel make farms more sustainable. In this blog, we’ll talk more in-depth on exactly how biomass products make farms more sustainable. Read on to discover what you can do to make your farm more successful and environmentally friendly. Biomass refers to any carbon-based product or material. So essentially, most items you find on farmland count as biomass. When farmers till the ground to prepare it for planting, they have tons of grasses, weeds, and other plant life that they have to get rid of. Farmers grow biomass fuel sources everywhere on their land already. They won’t have to waste valuable space for crops just to produce a viable fuel source. All they have to do is gather up the waste from tilling and preparing the ground for planting. And if the farm houses trees, fallen branches, broken limbs, and dead stumps are also perfect for woodchips-a highly popular biomass fuel source. Again, because farms already produce easy-to-replenish fuel sources in massive quantities, they can use those sources to power their buildings. For example, a farmer could burn wood chips or wood pellets to heat up their homes or to keep barns warm. Warmer buildings are better to work in, and warmer barns keep livestock safer during colder months. Additionally, farmers could burn other biomass fuel sources to provide energy that they can then use as electricity to light up an interior. Because farmers have so many fuel sources readily available, they can produce the energy they need to have a functional farm. But if the farms produce more energy than they use, energy companies could find ways to pay farmers for that excess energy. The energy companies might then use the biomass energy to provide electricity to other buildings in the area. So not only does biomass energy allow a farm to run off of natural, renewable energy, but it could also provide farmers with additional income. In turn, the farmers can use that extra money to purchase more seed, livestock, or equipment to improve the farm as a whole. Some biomass products break down so much that they can’t be used as a fuel source. For example, when some biomass products are burned, they crumble into ash. If properly processed, the ash can then take the place of fertilizer on a farm. The ash contains more easily digestible and accessible nutrients that crops need to grow. If farmers were to use biomass ash to make their soil more nutrient rich, they may see higher crop yields each season. On that same note, farmers can even use biomass energy to extend how long a crop stays in season. For example, a farmer could use a biomass furnace or boiler to heat a greenhouse. Because the greenhouse stays warm despite the weather outside, the farmer can plant crops sooner-resulting in an earlier harvest. Additionally, farmers could plant crops at the same time they would normally. This farming method allows them to extend a crop’s availability, making food sources available months sooner and for longer periods of time. And the longer a crop is available for purchase, the more income a farmer can make-and the more they can do with their farm overall. If you want to make your farm more sustainable, talk to a company that offers equipment you can use to dry your biomass fuel sources. Then, find ways to use those products to power and support your farm. For more information about the biomass industry or how biomass products can help you, read through the rest of our blog. According to an article posted on STV News this March, a farm in Angus, Scotland was able to produce a healthy yield of strawberries months before the harvest is usually ready. Windyhills Farm, run by one of the nation’s largest fruit growers, has used a unique form of technology to aid the strawberry plants as they matured. The farm used a biomass furnace to pump heat into a greenhouse. The farmers were able to plant strawberries in the early part of winter, and the consistent heat provided by the furnace allowed the strawberries to grow easily throughout the cold months. As a result, the crops matured much faster than in years past, and strawberries are available in stores about three months sooner than anticipated. Executives from this farm expect that this early yield, coupled with continued planting and harvesting throughout the season, will allow the farm to produce an additional 150 tons of strawberries in the year. To make farming a more lucrative career, farmers rely on agricultural engineers who design and create products meant to enhance the industry. And as evidenced in the story above, biomass technology can have a great effect on agriculture as a whole. So how can agricultural engineers and farmers alike take advantage of this new technology? Learn more below. As previously mentioned, agricultural engineers design and create equipment and products that make farming a more productive industry. These professionals work to make farming safe, sustainable, and environmentally friendly. These experts even work to improve how farmland is used so that farmers can produce healthier crops each season. So how does biomass energy factor into this industry? As mentioned in the section above, agricultural engineers strive to develop and use new technologies and farming methods to improve the agricultural industry as a whole. These experts also try to find ways to make farming more sustainable and environmentally friendly. Likewise, the biomass production industry works to make energy production and consumption more sustainable and ecofriendly. By using carbon-based products and turning them into fuel sources, the biomass industry reduces the total impact that burned fuel sources have on the planet. And because the fuel sources required to produce biomass energy are easy to find and replenish, this type of energy has become one of the most sustainable forms to use. If farms were to take advantage of this rising form of technology and energy, they would make their farms more ecofriendly and sustainable. If agricultural engineers truly want to make farming more sustainable and environmentally friendly, they should consider developing new technology that better processes biomass fuel and more efficiently distributes its energy. In the case of the Scottish farm, the workers used a biomass furnace to harness and distribute additional heat within their greenhouses. Agricultural engineers, then, could advance this process leaps and bounds forward by developing additional technology that can control how that heat and energy is used. By creating appliances and technologies that can support an already sustainable fuel source, agricultural engineers can better meet their goal of making farming as sustainable and ecofriendly as possible. Given time, these professionals could find new and unique ways to merge the agricultural and biomass industries and further benefit the global economy with any new technology they create. To learn more about how the biomass industry can benefit your company, read through our other blog posts. If you want to make the change and dry your own sources of biomass fuel, get in touch with a company that sells the proper equipment. Since 2008, the amount of wood pellet exports from the United States to Europe have increased drastically. The increase is a result of the European Union’s goal to reduce carbon emissions by 2020. After much consideration, the European leaders concluded that wood pellets are the most fuel-efficient option with the least impact on the environment available. However, some environmentalists have since questioned the impact wood pellet production has on our environment. Most wood pellets are produced from forests in South Carolina, North Carolina, Georgia, and other southern states. Environmentalists who oppose wood pellet exports contend that the impact to produce and ship wood pellets damages the environment more than simply using coal in Europe. pellets are a better option than coal. Even when you factor in harvesting and transportation costs, coal still causes more carbon emissions than wood pellets. You may wonder why wood pellets are a better option as a fuel source compared to coal. Here are a few reasons to use wood pellets as a fuel source. Electrical plants that use wood pellets for fuel produce up to 85 percent fewer greenhouse gas emissions than plants that use coal. This greenhouse gas reduction comes by using wood pellets that are produced on lands that sequester carbon. Typically, most manufacturers use forest biomass to create wood pellets. However, manufacturers can also produce wood pellets from agricultural biomass as well. These sources for agricultural biomass produce significantly less carbon than forest biomass. The reduction of carbon is achieved by sequestering carbon within the soil during plant growth. Additionally, wood pellets that are produced from agricultural biomass and forests can reduce carbon emissions up to 34 percent compared with other fuel options, such as coal. One benefit to switching coal plants to wood pellet plants is that the older coal plants are already built and paid for. The cost to build production plants is often one of the most expensive parts of fuel production. When you use existing coal plants for pellet production, you eliminate the initial capital cost and offset the carbon emissions that occur when you build a new plant. Since most coal plants that are older than 35 years are already paid off, the production of wood pellets costs far less than other fuel productions. For instance, a pellet plant can create electricity for nearly the same cost as natural gas plants. When you consider the cost to produce pellets, they are one of the cheapest options to produce low-carbon power. The demand for more wood pellets in Europe has created a new industry. Many business leaders are taking advantage of the cost-saving benefits of wood pellets by transforming old coal power plants to wood pellet plants. The conversion of so many plants has created more jobs in the US. 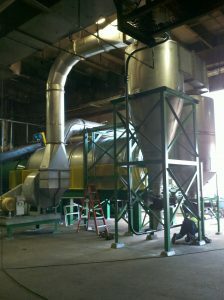 Additionally, wood pellet plants require a greater labor force to operate. To facilitate a 500-MV coal plant, you need around 2,500 people. To facilitate the same-sized plant for wood pellet creation, you need nearly 3,500 people. To accommodate the increase in wood pellet demand, forest managers have to maintain their lands better. This land upkeep includes planting and harvesting more trees. This type of mass tree production is often referred to as “afforestation.” Afforestation is healthy for the earth and will likely lead to more forest carbon stocks within the next few years. With the current push to reduce energy emissions, you may wonder how you can contribute to a healthier planet. For information regarding your fuel usage, talk with your local biomass company. Over the last several decades, the ongoing destruction of the Amazon rain forest has had a major impact on the world. As trees in the rain forest are cut or burned down to create more grassland for cows or for human development, the entire globe suffers the ill effects of increased carbon emissions, air pollution, and environmental destruction. With so much anxiety about the destruction of the Amazon and other rain forests, some people worry that the biomass industry-which utilizes wood and wood pellets-contributes to deforestation. Actually, the exact opposite is true. The biomass industry might represent one possible solution to the worldwide deforestation epidemic. In our blog below, we’ll talk about how the biomass industry contributes to reforestation and afforestation efforts and then discuss the other benefits biomass can provide to the economy and environment alike. What Are Deforestation, Reforestation, and Afforestation? 31 percent of the world’s surface is covered in trees. We depend on these trees to produce oxygen, and numerous species depend on forests to create life-sustaining habitats. Unfortunately, the last several centuries of global industrialization have reduced forests by an immense percentage. According to the World Wildlife Fund, the world loses the equivalent of 48 football fields-worth of trees every minute. This large amount of deforestation has dire consequences for everyone in the world-not only because deforestation reduces our oxygen supply, but also because it contributes to 15% or more of the world’s total greenhouse gas emissions. In order to offset deforestation, numerous organizations, governments, and individuals have worked hard to make reforestation a reality. Reforestation means replanting trees in deforested areas. For instance, Professor Wangari Maathai created an organization known as the Green Belt Movement, which has so far planted 51 million trees in deforested regions of Kenya. In America, many logging companies commit to reforestation programs. Simply drive through a rural region of Washington, and you’ll notice signs along forested roads that describe a given logging company’s commitment to reforesting the areas they’ve harvested. Along with reforestation, many companies, organizations, and individuals contribute to afforestation, which means planting trees in areas that previously lacked them. Afforestation improves air quality, strengthens an area’s biodiversity, and improves the soil. Afforestation efforts have been a crucial part of the American consciousness ever since the Dust Bowl and the Great Depression. As part of his New Deal, President Roosevelt created jobs by having workers plant 18,000 miles-worth of trees as windbreaks to prevent soil erosion. What Does This Have to Do With Biomass? Reforestation and afforestation go a long way towards improving the world’s current environmental problems-but how does the biomass industry contribute to these important causes? While the term “biomass” refers to multiple types of organic energy sources, including industrial waste, food waste, agricultural residue, and certain types of crops, it frequently refers to wood. You might think that using wood as fuel destroys forests-and in some cases, it does, especially when impoverished people are forced to scavenge for fuel sources from nearby trees. But having a well-regulated, environmentally conscious biomass industry requires a sustainable source of wood-otherwise, the industry would quickly fizzle out. Therefore, the biomass industry often contributes to reforestation and afforestation efforts; this way, they have a sustainable source of fuel that doesn’t cause environmental damage. 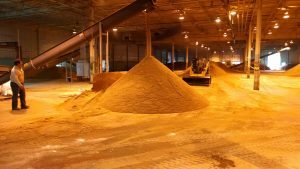 Currently, most wood pellets come from forests in southern states like Georgia and North Carolina. Farmers and logging companies that supply biomass companies with wood have to work hard to sustain their forests and replant trees that can serve as future sources of fuel. Unlike fossil fuels, biomass sources like wood are renewable, sustainable, and carbon neutral. Plus, innovators within the biomass industry are currently working on even more ways to preserve trees and reduce waste. For instance, thanks to a grant from the US Department of Energy, one group is working to find a way to convert forest residue into usable fuel. Forest residue refers to the tree limbs, trunks, and low-quality wood left behind by logging companies, and they often go to waste. Once researchers figure out the logistics of converting forest residue to fuel, the biomass industry can help reduce even more waste and provide the world with an alternative source of fuel that doesn’t require cutting down more trees. How Else Can the Biomass Industry Help the World? Planting trees, reducing waste, and producing renewable fuel sources don’t just help the environment-they also create jobs. Since the world only contains a limited amount of fossil fuels, fossil fuel-related jobs will eventually start to dwindle. But since biomass refers to renewable energy sources, its industry opportunities for employment can only grow. But you don’t have to simply take our word that the biomass industry can benefit the economy and environment. Read through the news releases and other articles on our blog to learn more about how biomass can help you, your company, and the world. are poised to change the world energy market. Here are our top six biofuels to watch. inexpensive, and it’s an alternative way to use corn, which we have a significant surplus of in the US. corn ethanol is a great short-term substitute for petroleum fuel. converted into a fuel, often blended with gasoline. effective biofuel has is its negative tendency to form a gum inside older car engines. created one of the cheapest, cleanest-burning fuels in the world. example, after a farmer harvests his or her corn crops, he or she has a huge amount of husks left over. testing it as a clean jet fuel. sources. When burned in an engine, the byproduct also doesn’t release carbon dioxide into the atmosphere. major, long-term replacements for petroleum-based fuel. In late April 2016, the US Senate passed a bill that categorizes biomass fuel sources as carbon neutral. is and better understand its future. turned biomass into energy to power electrical grids and other powerhouses. from trees and other plant life. the form of paper) reduces the amount of trees we need to cut down to produce more notebooks. But should biomass use stop at recycling, agricultural advancements, or minimal energy production? the economy, and the world. any carbon dioxide emissions in the atmosphere. wouldn’t be so reliant on trees for biomass energy. grids for small towns. Maybe one day, we could produce enough biomass energy to power large cities. global economy while providing additional energy sources. production. Instead, we could use biomass to create a more ecofriendly plastic. on petroleum to make the plastic, engineers and manufacturers use biomass to create plastic water bottles. straws, cutlery, bowls, pots, trays, and food containers. some companies are looking for new ways to power vehicles. that this process can consume the annual waste of five people. fuel source. If they succeed, Earth’s dwindling natural resources may have a chance to rebuild over time. equipment you can use to better use biomass. As Europe increases its use of wood pellets to supplement coal as an energy source, U.S. wood pellet producers are exporting more pellets across “the pond.” From 2012 to 2013, wood pellet exports from the U.S. nearly doubled, with more than 98% of all exports shipping to Europe, according to the U.S. Energy Information Administration. In 2013, the U.S. was the world’s top wood pellet-producing country (5.7 million metric tons), followed by Germany (2.2 million metric tons) and Canada (1.8 million metric tons), according to the United Nations’ Food and Agricultural Organization. When it came to exporting wood pellets, the U.S. and Canada topped the list. The American manufacturing sector has been on the rebound in the past few years, but that doesn’t mean we can rest on our laurels. A manufacturer who doesn’t take advantage of the most recent technological advancements risks falling behind the competition. Advancements like 3D modeling will have far-reaching effects on the entire manufacturing sector. We’ve recently begun using the 3D design software SolidWorks, and we would have to admit that, now that we’ve seen the program’s advantages, it would be extremely difficult to go back to our old way of doing things. We look forward to seeing the continued evolution of this technology and how it improves our manufacturing process. We will embrace anything that helps us manufacture a better product, and we get the impression that this is just the beginning for 3D modeling for Uzelac Industries. “We haven’t seen a product we couldn’t dry.” Really, it’s true. In our numerous years of experience drying biosolids and many other by-products, we seldom come across an application that we couldn’t handle. We attribute this to our company’s versatility and willingness to accommodate all of our customers’ needs. When we say we have dried everything from blood to wood, we really mean it. Our past applications have included blood meal, bone meal, eggshells, feather meal, fish meal, bakery waste, wood, cellulosic, paper waste, manures, poultry manure, hatchery waste, municipal biosolids and DAFT solids, algae, pork skin, and poultry processing residue, among others. We have had customers come to us over the years with a wide variety of products that needed to be dried, and virtually every time, we have developed a custom solution to meet their needs. Our versatility and flexibility in this manner has allowed us to design these custom systems. When it comes to our drying system, the main equipment remains the same, no matter the end application or customer specifications. The supplementary components are then developed in order to meet specifications. Depending on the product that has to be dried and how sensitive the application may be (for example, blood is more sensitive and therefore needs to be treated more carefully), we determine how the peripheral equipment should be developed. No matter the application, we ensure that the system maintains the integrity of the product as a baseline across the board. At the end of the day, we see ourselves as a supplier of a complete solution, as opposed to a supplier of simply a dryer. We have the capabilities of designing and manufacturing systems that can handle almost any product and meet most specifications, including taking efficient emissions control or more sensitive product into consideration. We strive on being a turnkey solution provider to our customers. Our versatility and willingness to be flexible allows us to create a drying system to accommodate many different needs—really, we haven’t faced a challenge we couldn’t find a way to dry.